When you really think about it, WWE superstars dress up pretty much every night of the year, not just on Halloween. Thanks to Rhyno, we're going to have nightmares every night of the year too. Seeing the former ECW Champion as 'Mrs. Claus' on Raw is not something we ever wanted to witness. 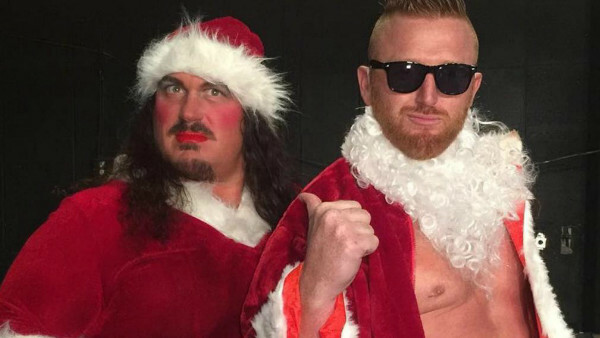 That was a poor effort from Heath Slater as Santa too. At least Rhyno took the time to slap some lipstick on and pout for the camera, Heath. Meanwhile, you couldn't even be bothered to wear the hat or pull that Santa beard up around your chin. Despite Rhyno's best efforts, neither he or his tag partner qualify for the best WWE Halloween outfits this year. Admittedly, most of the costumes that flashed up on Instagram and Twitter screamed 'last minute'. There were a few exceptions, but let's hope WWE's roster put a bit more thought behind their outfits next year. Also, Halloween is supposed to be scary, right? 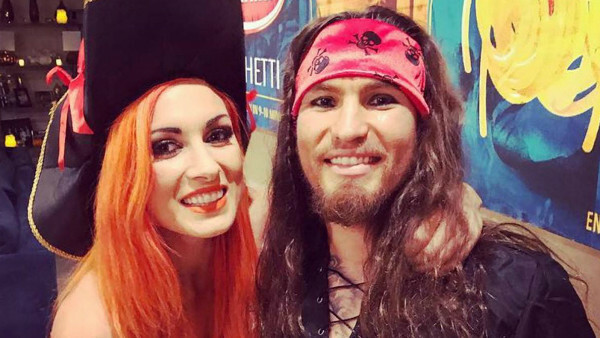 WWE's women should take note from Becky Lynch's boyfriend Luke Sanders, because that wig he's sporting is phenomenal. 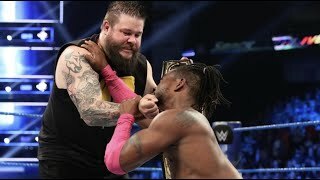 In fact, scrap the girls, it's another roster member that needs to pay attention. It's almost like 'Cool Hand' Luke borrowed that hair from Kane. Sanders is clearly Captain Jack Sparrow from the Pirates Of The Caribbean franchise. That makes Becky his second in command, and she looks awesome as a pirate herself. Wait a second though. Is it just us seeing Paul Burchill on the right? So many pirate jokes, so little time to fit them all in. Becky's effort was a Halloween favourite. Hardly scary, but at least both loversput a bit of effort in. Lynch even found space to make some pirate-themed jokes on Instagram about Luke. She asked, "how do you know you're a pirate?"